What in the! And that is my first opinion of tvN’s currently airing time travel drama Nine: Nine time travels (say that..um…nine times fast!). For the sake of brevity the show will henceforth be referred to as Nine. This weekend turned out to be a gift from the drama gods; not only did I have time to view the new episodes of the shows that I am actively watching but I had the chance to watch Nine up to episode five. This drama has been on my to-watch list for a while and I am happy that I finally found the time to dive into the goodness. So, here is Lore in Stone cities first impressions as of episode five. Cheers! Our hero (it is probably correct to call him an anti-hero) is a journalist with a tragic past. His father, a prominent doctor, died amidst suspicious circumstances, his mother has lost her mind, and his brother suffered from schizophrenia prior to freezing to death in the Himalayas. Oh, and he has an incurable brain tumor. Enough tragedy for you? 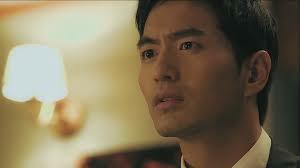 If I did not know better I would say that this character belongs in a melodrama and not a fantasy romance. 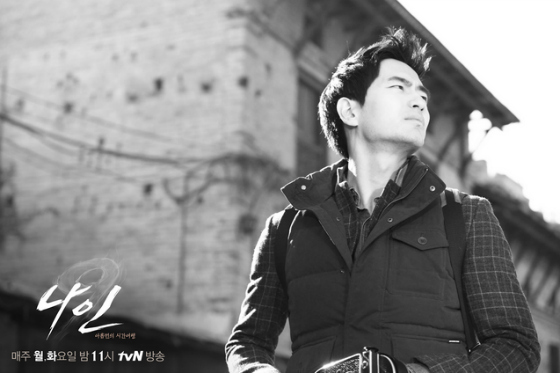 Sun Woo is our resident time traveler, discovering a method to travel back twenty years thanks to a clue at the scene of his brother’s death. This time travel discovery is fortunate for the story but has mixed results for the man himself as his use of the mechanism changes his past and future with sometimes undesirable outcomes. Our heroine, Min young is a journalist hoobae to Sun woo. After five years working together Min young and Sun woo finally begin a relationship. Min Young, who is a bubbly and energetic woman, faces variable life stories depending on changes in the threads of time. 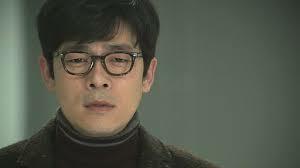 As Park Sun woo’s older brother, Jung woo is also a victim of time manipulation. 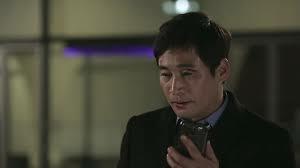 A catalyst to the origin of the story- his death brought our hero in contact with the “time machine”, Jung woo appears to play a bigger part in unraveling past events than any other character. 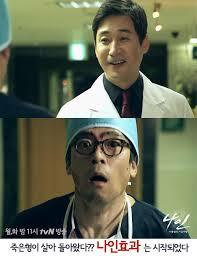 Jin chul is a doctor, a rival of Jun woo and Sun Woo’s father. 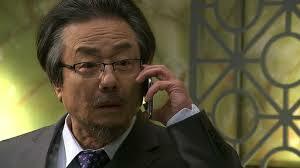 In the beginning of our story it is revealed that Jin chul is thought to have lured dear old dad into a fire that resulted in his death. The villain of the story, the man is now a big name in stem cell research and touted as a hero to the people. Sun woo’s best friend. A surgeon with a disgruntled personality, Young hoon pleads with Sun woo to take his illness seriously and seek chemotherapy treatment. As our story progresses Young hoon becomes one of the few characters that realize what is happening even as time shifts its story. 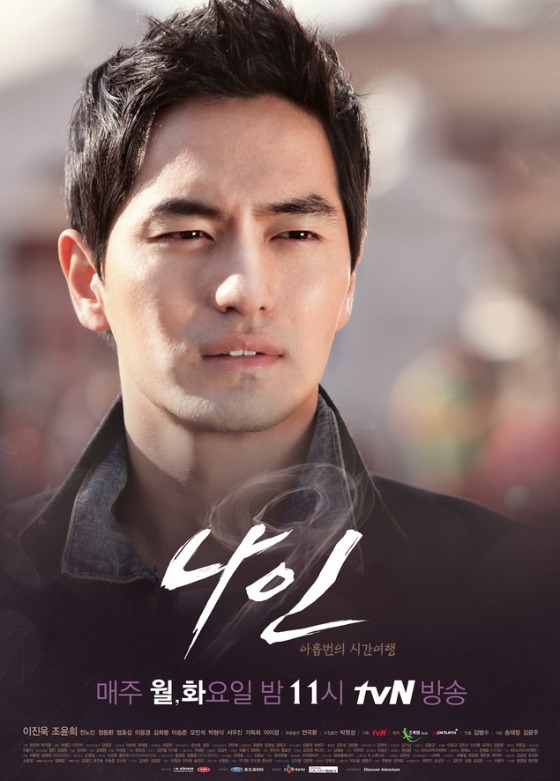 Lee Jin wook and Jo Yoon hee are rocking the chemistry – a feat that is impressive because of the back and forth of this story; due to the time traveling shenanigans their relationship to each other is in a constant state of change. While watching this pair I cannot help but cheer for them, after all one of them is facing death and declares his love in an oh so sweetly egotistical manner and the other is a victim of incense fueled time travel. Here is hoping that by the end of stick nine the two end up with a happily ever after- because if they don’t I am going to…um…probably cry. And go buy incense. Nine is great to look at. The editing is tight and the split screen feature, sometimes offering a look at the past and present in tandem, lends to the stories theme of simultaneous actions that are inseparably intertwined. I have watched a lot of the time travel dramas that have aired in the past, but I have to say Nine does something better than the rest- it plays up the idea of linear events that cannot help but change our characters lives. (Note: why did she make that phone call! Why!). Does anyone else think this show’s visual has a little bit of a noir feel to it? The close up mechanism is also well used in this show; the atmosphere of the story is conveyed well by the small actions that are brought forth by the camera angles and focus. From the simple action of looking in a mirror to the searing pain of illness this show is not afraid to get up close and personal. The first few episodes were slow to get started as the plot found its footing and built up our origin stories. Once episode three ended our character’s lives really picked up, giving viewers a feeling of uncertainty and surprise as events unfolded. I love watching a show and not knowing where the story will go next- I can admit that in other genres plots can be predictable. Not that that is a bad thing- but sometimes it is nice to tune in and have no idea what you are about to watch. 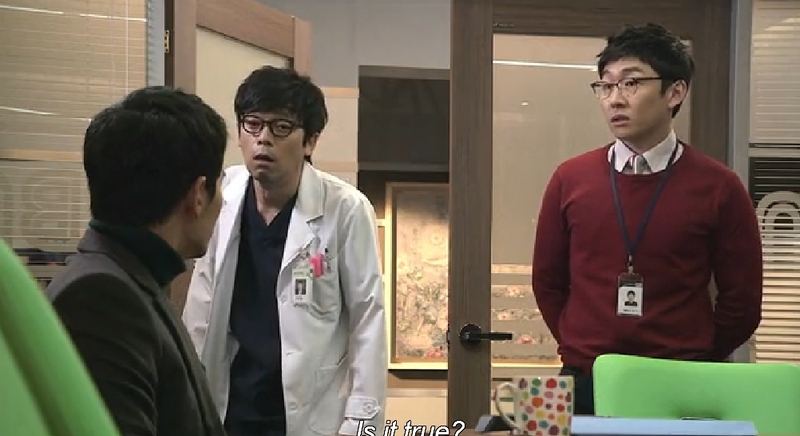 This element of Nine reminds me of another tvN show- the masterpiece sci fi tale Secret Investigation Record.. I loved SIR for the suspense and I have a feeling I will love Nine for the same reason. My major bone to pick with the story as of episode five is petty given the fact it is the story as of episode five: does this man have no sense? 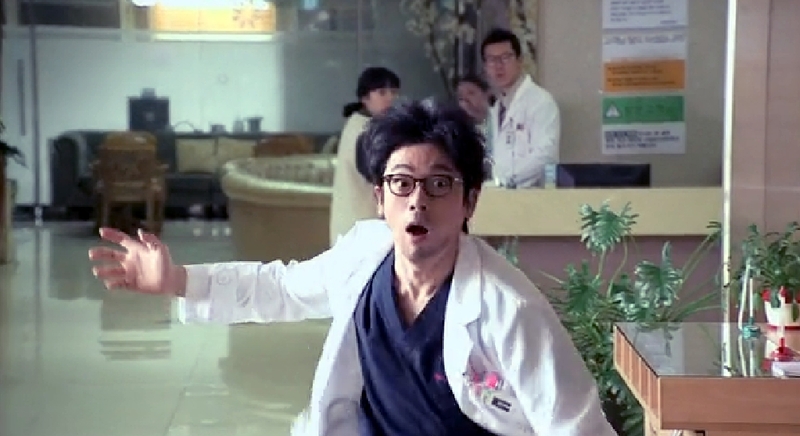 If I had to nominate someone who would abuse time travel the most I vote for Sun woo. Apparently all of his intelligence is wasted on the simple logic that if you change sh*t in the past sh*t will happen in the future. I mean- really?! By episode five you have used fifty percent of your time traveling magic incense? And you think you need only one to save dad from the bad guy? Um…okay. Do they make a time travel for dummies book? 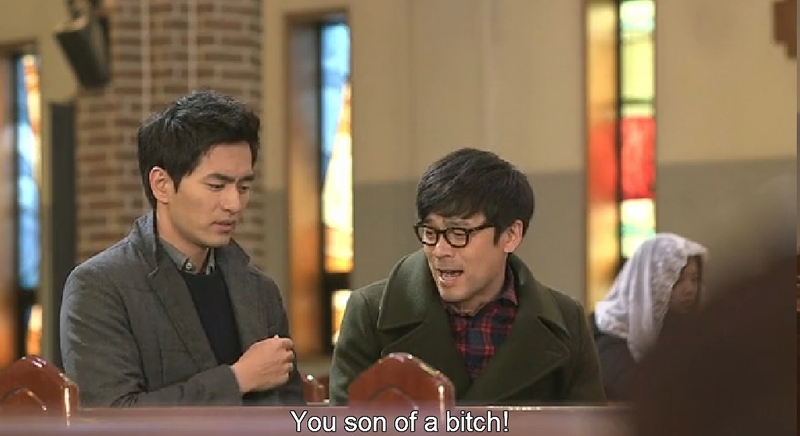 Because I am pretty sure Sun woo needs to read it fifteen times. And someone should stage an intervention and take that incense away from him already! Okay, I am off my soap box. And I am, in all reality, largely okay with this abuse of time travel-because, as I stated, this is the story of Nine. One man’s completely ill thought out use of a mechanism to change the events of the past. And it results in super addicting suspenseful programming. So I guess…burn it up Sun woo, you only live once. Watch it. You will not be disappointed- as long as you can put up with all of the time jumping and edge of your seat suspense (and past changing illogical actions). I am beyond excited to see where Nine goes- here is hoping I find time this week to watch more of this addicting show. I know exactly how you are feeling! Hugs! I love, love, love this drama and all the twists and turns. It’s such a novel concept in time travelling. But I’m always glad to hear good buzz about Nine! Even if I put my fingers in my ear and lalala through the meat of it. This is one show that marathons well- if I had to wait for the next two episodes on a consistent basis I would go mad! Seriously addicting. I can’t wait- Min young’s reaction should be insightful and challenging to our time travel carelessness (or not, but don’t tell me, please!) I am really enjoying the story thus far- the characters make me give a damn and the recent pacing of events make me bite my nails in apprehension. 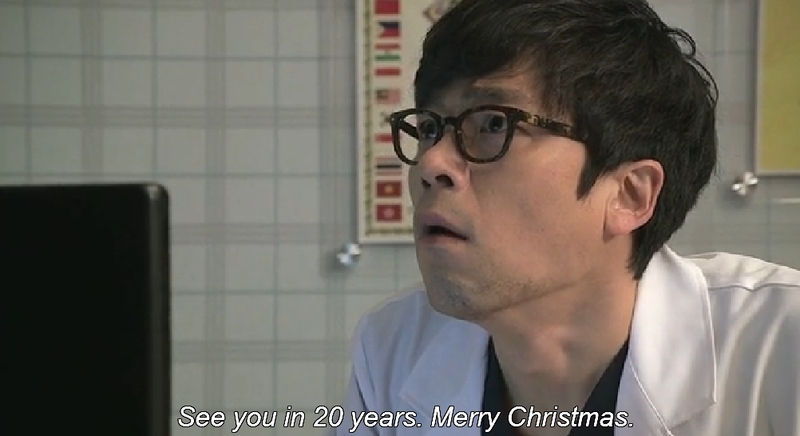 P.S.- Dr. Han is my favorite secondary character in drama land this year- you cannot beat his overtly obvious reactions. 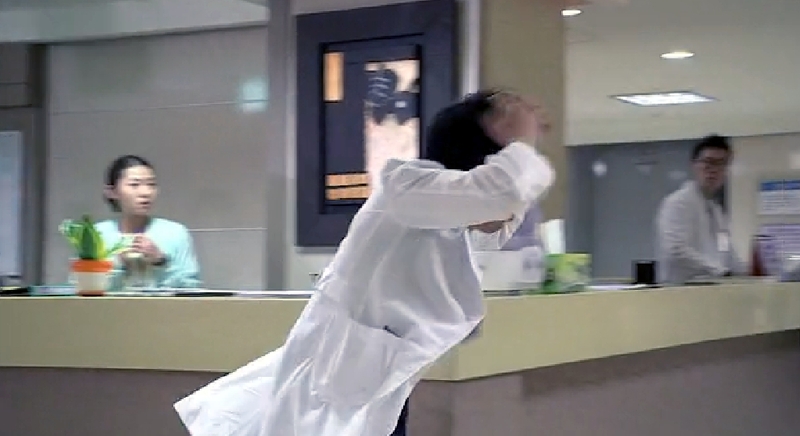 Dr Han fighting! this one is somethin’ special for realsies 😀 love your post!